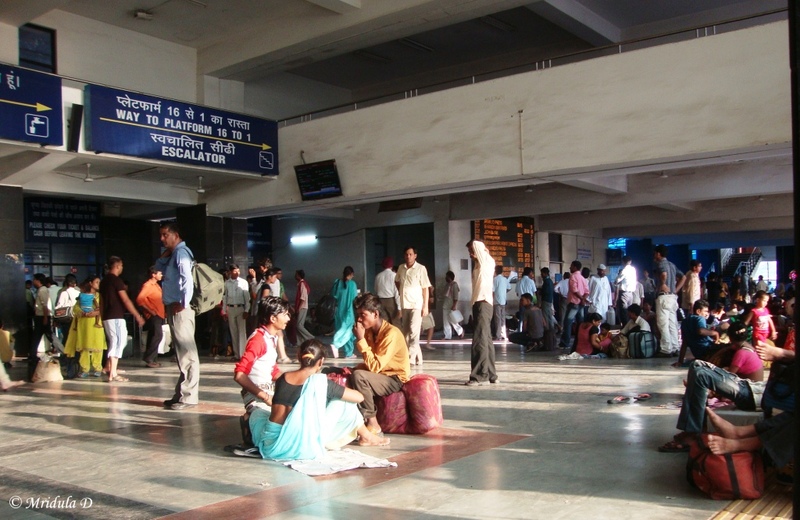 Thought of doing a series on the railway stations I have clicked within India. Mostly we are either in a hurry to get onto a train or to get out of the station to reach somewhere. But sometimes I do manage to click pictures. 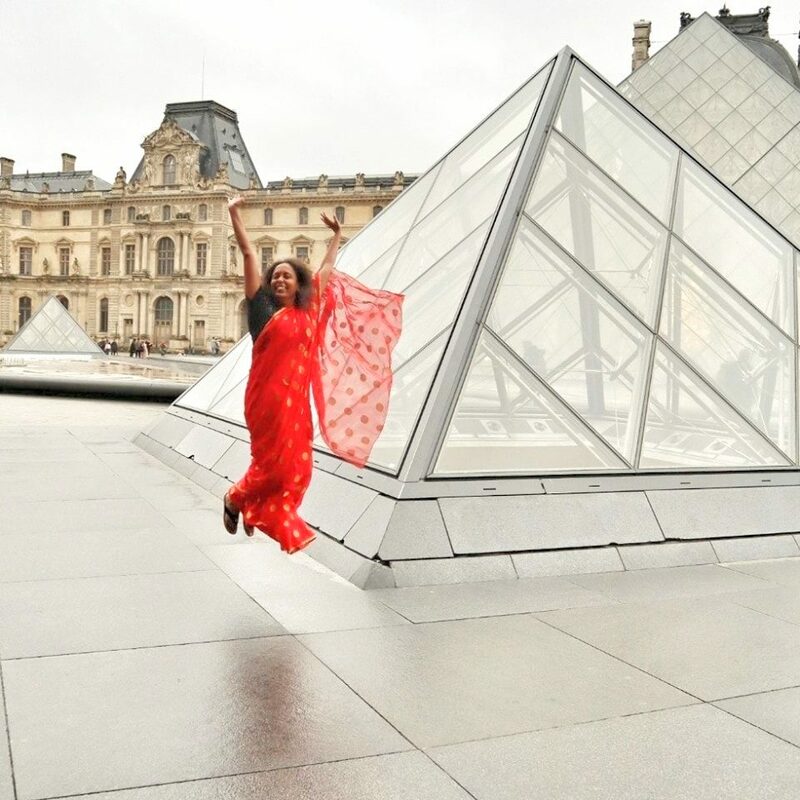 For example in January this year I was catching a train back to Delhi from Jaisalmer. I saw Palace on Wheels at the station. So I dumped my luggage in the assigned coach, we were in a group so others could watch it. And then I ran to click pictures! 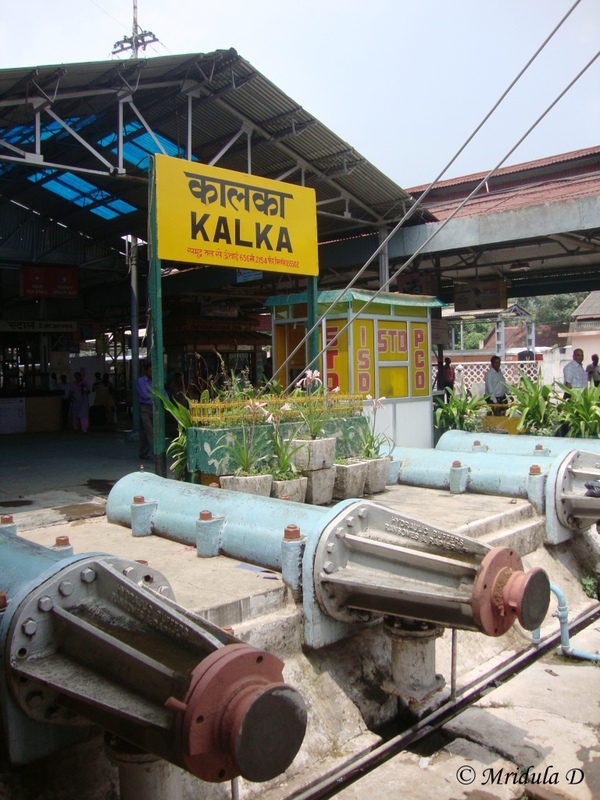 I quite like Kalka Railway Station, it is small and beautiful and it means you are near the hills. 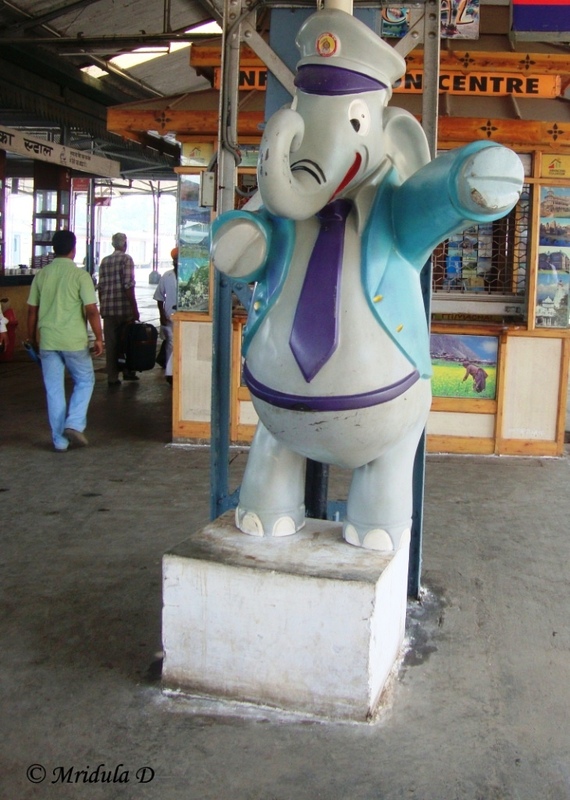 Then there is this cute mascot (Appu is it?) at Kalka railway Station. 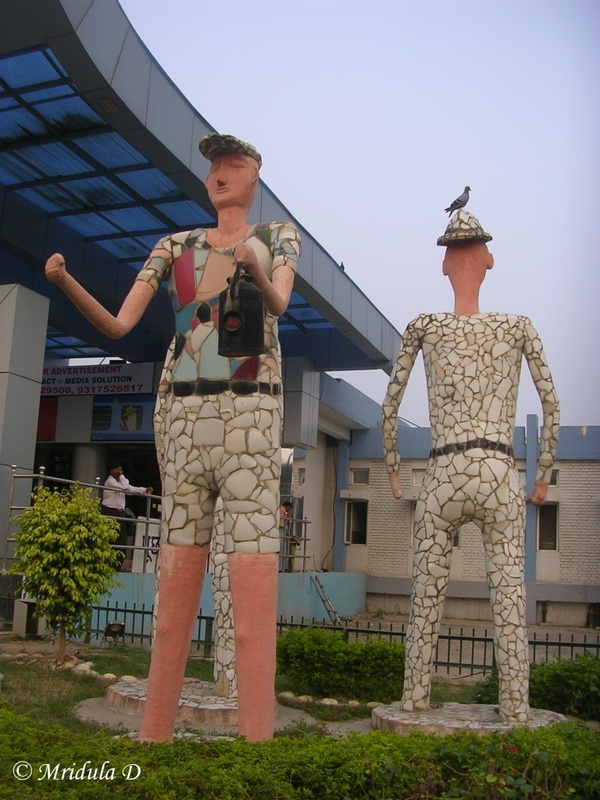 This is just after the entrance to the New Delhi Railway Station, from the Ajmeri Gate side. 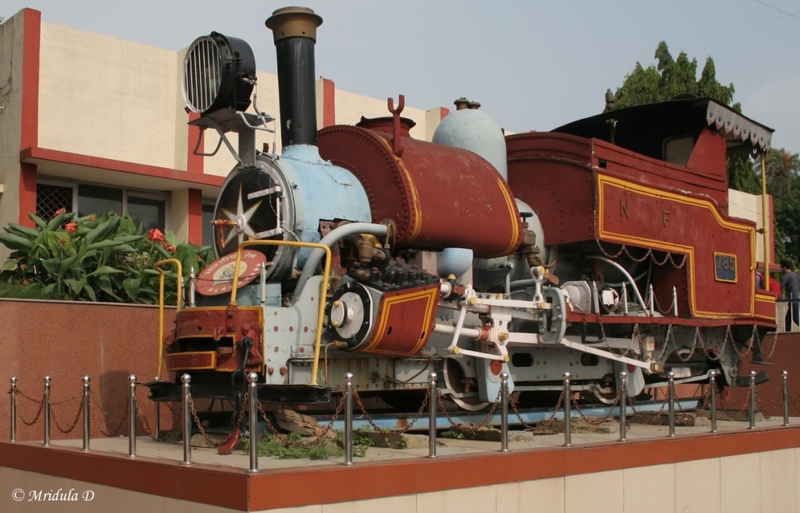 This is a cute engine that you can see in front of the Dehradoon Railway Station. 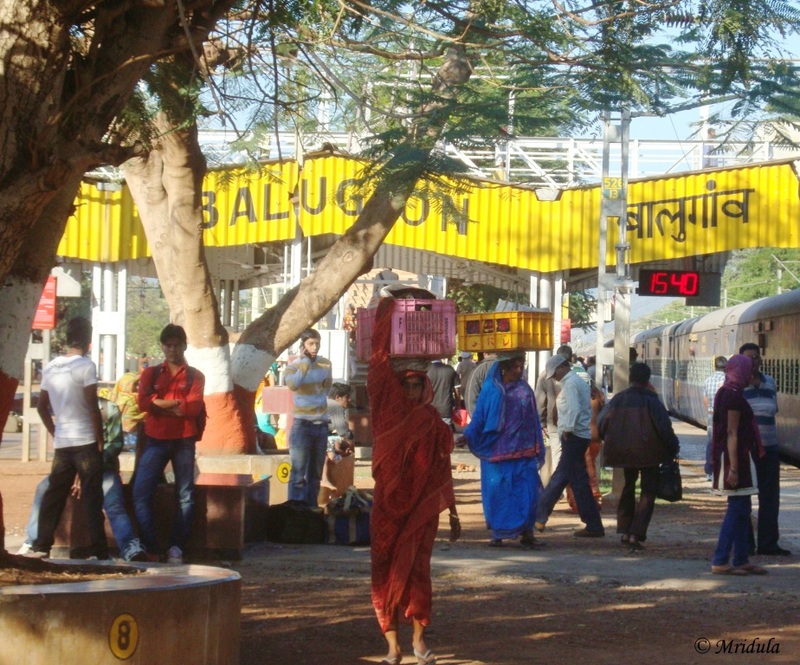 This is the small Balugaon Railway Station in Odisha, quite close to Barkul the getaway to Chilika Lake. 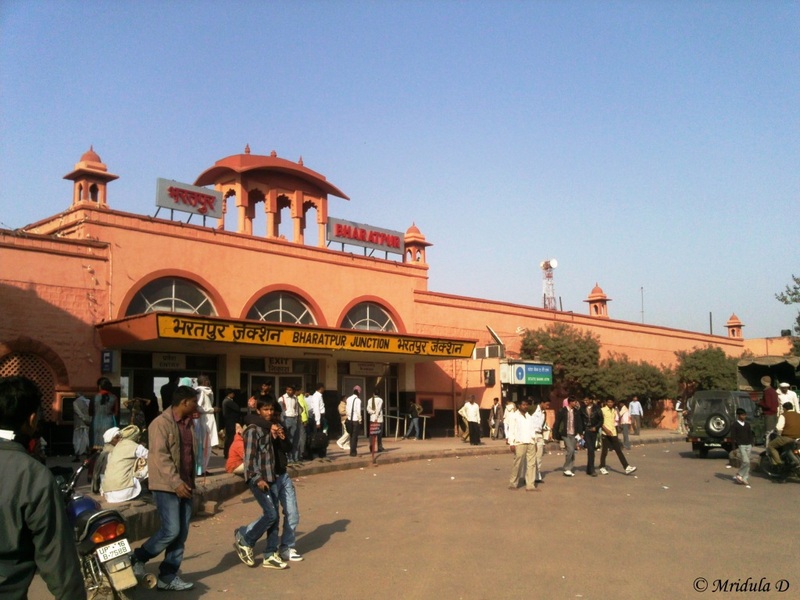 The last image for today is of the Bharatpur Railway Station, my latest trip of 2012. Took this one from my mobile phone. I bought the mobile because of the 5 megapixel camera! But the best station that I have stayed at is Barog at Himachal Pradesh. Don these stations hva character of their own! Loved it. Post more Railway Station photos. BTW are you aware of this site: http://www.fullstopindia.com ? Good capture. Even the mobile oneis also v.good. >>> But the best station that I have stayed at is Barog at Himachal Pradesh. i remember you telling on this blog about walking to some railway tunnel near by station. b.t.w did you stay at station or near by station ? just read your blog entry again (earlier i did not notice you gave link here ) and found that you stayed at station. i too like small railway stations (even after i had nightmarish experience at one such small station). it feels good to see lives of people who are there at such small stations. you can sense the slowness (unlike bhagam bhag of big city life) in their lifestyle and the way they care for others around them. railway master @ delhi or bangalore would never have worried about your safety when you went to that tunnel. Lovely post..so much individuality in each station..I have done one on my blog about stations in Europe some time back..Great blog..will be a regular visitor here! Great post. I’ve always been fascinated by trains and railway stations myself.